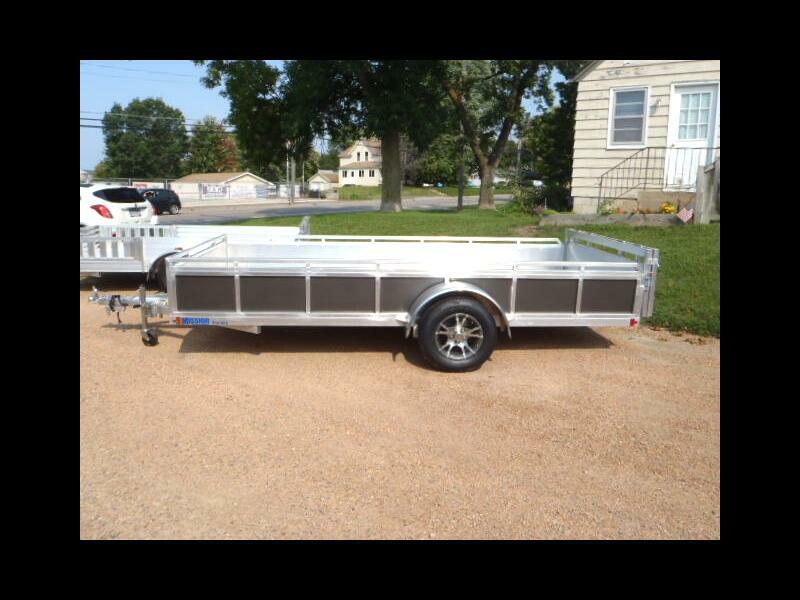 80" W x 14' L Aluminum frame, treated 5/4 wood deck, bi-fold rear ramp, 20" reinforced solid side rail with top rail, solid bottom 20" or rear ramp to match sides, 15" alloy wheels and radial tires, tongue jack, 4 D-rings on floor. Solid, well-built trailer. Special purchase. Message: Thought you might be interested in this 2017 Mission Utility Model- Wood Deck with Ramp.